Having pets at home is fun and enjoyable! They are part of the family and great company, this also means that you have to deal with cleaning up after them on a daily basis. One common problem that pet owners face is having to clean pet hairs that get, well EVERYWHERE! Pet hairs can be very difficult to remove from floors, especially on carpets and upholstery. They also build up quickly – this is why keeping on top of mess left by your furry friend needs to be a top priority. One of the best ways to get rid of pet hairs is by having a cordless vacuum that can effectively remove pet hair from all types of surfaces. What are Cordless Vacuums for Pet Hairs? Cordless vacuums for pet hairs are a must-have for every pet owner especially if your pets tend to shed a lot of fur. Since pet hairs stick to almost any type of surface, they can attract dirt, bacteria, dust, and germs if they are left for a long period of time. If you have children at home as well, it is important that you keep your home free from pet hairs to prevent your kids from getting allergies related to pet hairs. The biggest challenge when it comes to removing pet hairs is that they can be stubborn to remove from upholsteries, rugs, and carpets. This is why cordless vacuums for pet hairs that are made to especially lift hair from any type of surface will let you get your cleaning done faster—and easier. They are specially designed to lift hair faster and attract them into the vacuum nozzle to save you the time and energy from scraping them off your furniture and carpets on your own. Finding the right cordless vacuum for pet hair is not just about finding one that can effectively remove pet hair from carpets. Pets often have a favourite spot or an area that is awkward to get at and because of this getting a traditional vacuum in the tight space can be almost impossible. Another thing to think about is the filtration system on the machine and whether you want a cleaner just for specific spots, or one for pets and the whole house. 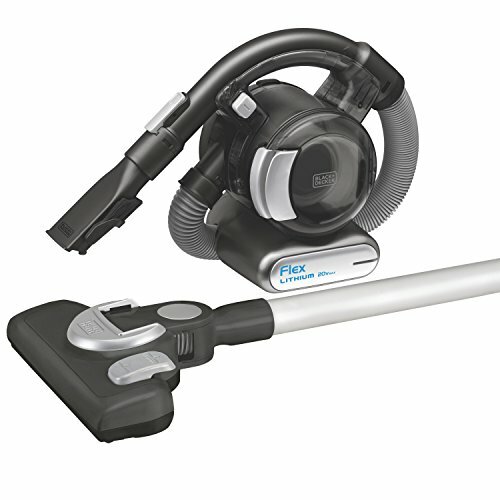 A great cordless vacuum that comes with multiple accessories to let you clean all types of surfaces. You can use the pet hair brush extension, flip-up dusting brush, stick vacuum extension, and crevice tool attachment interchangeably to fit whatever type of cleaning you need to do around the house. The pet hair brush attachment claims to effectively lift up and remove stubborn pet hairs from all types of surfaces, including sofas, bed, and your car’s seats. This pet hair brush is also rubberized to attract pet hair better for a more efficient cleaning. At the other end of the price range and fairly new to the market, the Dyson Cyclone V10 Animal is a great machine and future-proof investment. Like the previous models, it is packed with features and innovations which make it super effective and means you can easily use this one machine as the vacuum for the whole of your home. Since they are both handheld and cordless, you can easily use them anywhere you need to clean including the interior of your car. This handheld combo can last up to 25 minutes of continuous use. The other attractive thing about this combo is you have two dedicated devices specifically for dealing with pet hair, dirt and mess, leaving your household vacuum to do that job only. And of course with the Bissell Pet Stain Eraser you can also deal with any drink/spillages you might make too! Which is the Best Cordless Vacuum for Pet Hairs? 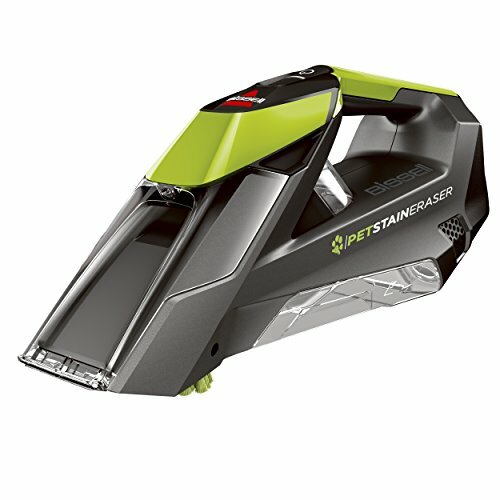 These cordless vacuums for pet hairs are ranked as effective in removing pet hairs from various types of surfaces. Having them around the house will ensure that you can clean your home and get rid of pet hair in a shorter amount of time. The suction power and pet hair brush attachments that come along with these cordless vacuums make removing pet hairs from carpets and upholstery better and faster. 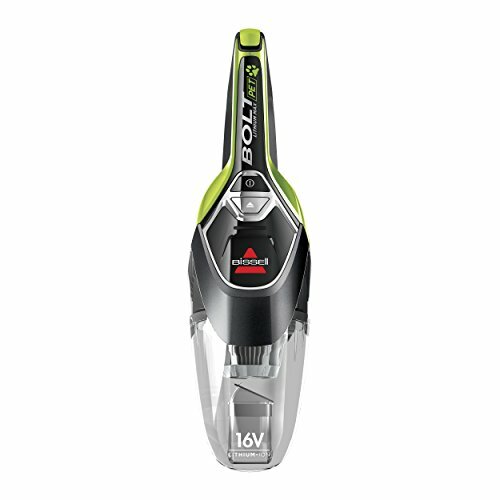 All three of these cordless vacuums are effective in lifting and getting rid of pet hairs from various types of surfaces at home and they each stand out for different reasons. The Bissell combo including the handheld vacuum and the cordless stain eraser stands out among the two other options mainly because it offers better portability, dedicated devices for the job at hand and is good value for the price. However it is not for cleaning the whole house. The Dyson Cyclone V10 Animal Cord Free Vacuum is at the other end of the market and is expensive, but it has additional benefit for cleaning the whole house as well as converting to a hand held machine – it is the only vacuum you will need in the home. 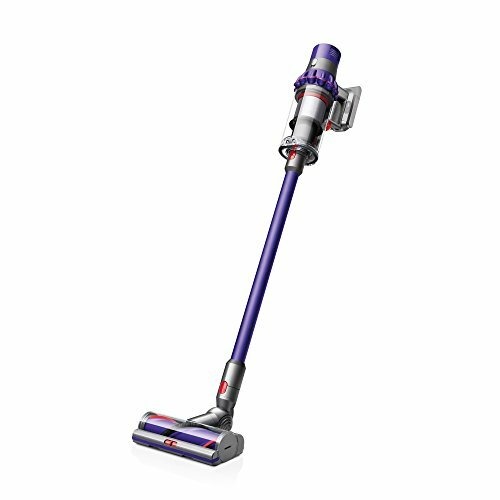 There is a reason why the new Dyson Cyclone V10 Animal Cord Free Vacuum like its predecessor is on the way to the best seller charts even though it is new in the market. The reason is that it’s effective on all counts. This vacuum cleaner has already gathered accolades from users all over the globe, like the previous Dyson models. There are other stick and cordless vacuums that focus on pet hair, but the Dyson performed better in the tests. Everything about it points to a very convenient and effective vacuum cleaner for home owners with pets, with all the components very easy to change and clean. There are no screws to undo in order to clean your appliance. Give it a chance if you want an effective and convenient vacuum cleaner for enjoying your pets without the worry of pet hair in your home.